Financial coaching provides lectures to individuals for them to develop with themselves the skills required to manage their own financial matters. While financial advisors offer services to entrepreneurs like reviewing a financial plan or proofread all the documents concerning such. As a professional skilled in business plan writing, financial advisors relieve their clients from the grueling process of thoroughly scrutinizing a business plan. Any individual can become a financial advisor. First and foremost you should know the role of one. This job requires selling of services and investment products to individuals with corresponding commission or management fee. To gain and retain clients is the primary objective of a financial advisor. 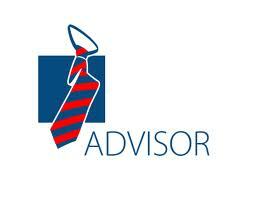 Find a broker or dealer which is willing to sponsor you in taking the exams for financial advisors. There are two exams, the Series 7 Stockbrokers Exam and the Series 66 Uniform Combined State Law Exam. There will be a passing rate of 70% and retakes can only be done after 30 days from the previous exam. After taking the exams you will undergo series of training in order to hone your skills to become an efficient financial advisor. This would actually take some time and salaries will be at the minimal. There will already be sales quotas but those will come with commissions aside from the basic salary. If you aim to be a financial advisor, aside from being flexible, you should be highly motivated. This job may require you to work 50-65 hours per week and the selection process will be very strict because of the expenses that your sponsor had while you were still on training. So from the very start, you should show them that amongst the other trainees, you are by far the most deserving for the job. You should know how to handle rejections well. The key there is not to let it get to you. Be persistent, just brush it off and instill in your mind that it’s part of the job being in sales. Lastly, choose the firm in which you want to work for. Being in a company with excellent credibility and great reputation will save you some time on the sales talk. If you seek excellent investment advice for your money, or just want some help in early retirement planning, a financial advisor will surely help you. Indeed, the services that they offer will have corresponding fees and commissions, but with them you are confident that all of your investments have more probabilities of being successful.